Yesterday before school, my co-worker Desi brought me a piece of cake. She said it was Pepsi cake. I don’t know what that is, but it was delicious. I ate it right away. Yum! What a great way to start the morning! 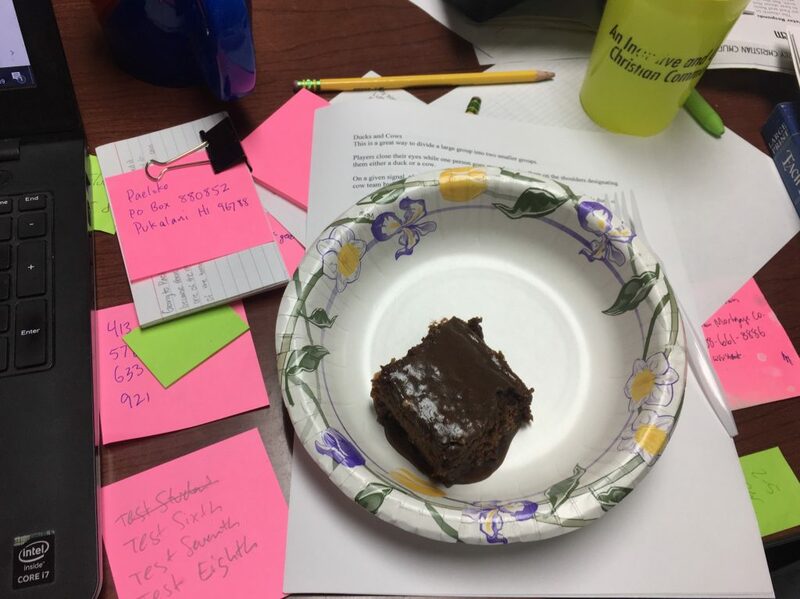 Mmmmmm…… Pepsi cake and post-its. Your desk is a delicoius, productive wonderland!